Plenty of waves today even on a high tide, thought often hard to get! Still sunny and mild wind contrary to forecasts. Got five waves and one really good right. Surfed with dolphins in the lineup, and a group of Canadians (“Is that a shark? !” he shouted. “Noooo, dolphins,” I replied). Super tired by the end but stoked!! Ate at the beach afterwards. Beach bum life is goood. 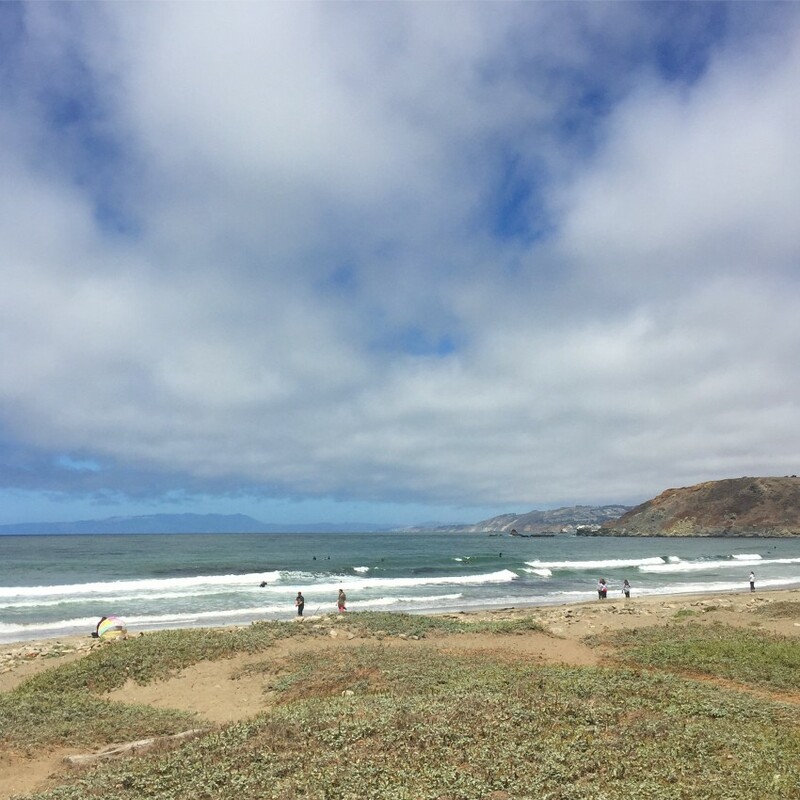 Afternoon Report for SF-San Mateo County: Small NW windswell and very small S swell mix continue this afternoon. Most breaks are topping out in the knee-waist high zone, with a few rare plus peaks for focal points. Winds are light to moderate onshore from the 6-10kts+ and making for bumpy/textured surf.